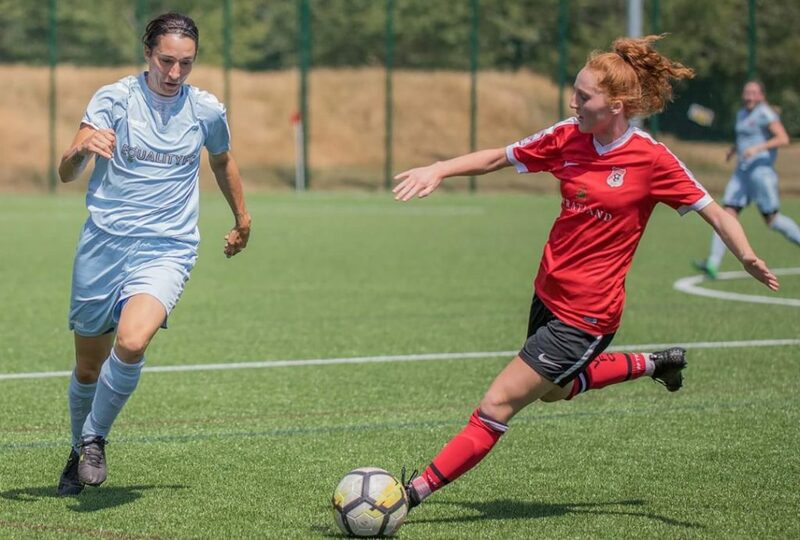 We’re checking in with clubs in the new-look FA Women’s National League (formerly the FA WPL) and now we’re heading to the south coast to catch up with players and coaches from a club that were just one place and three points away from winning the league and being promoted last season. 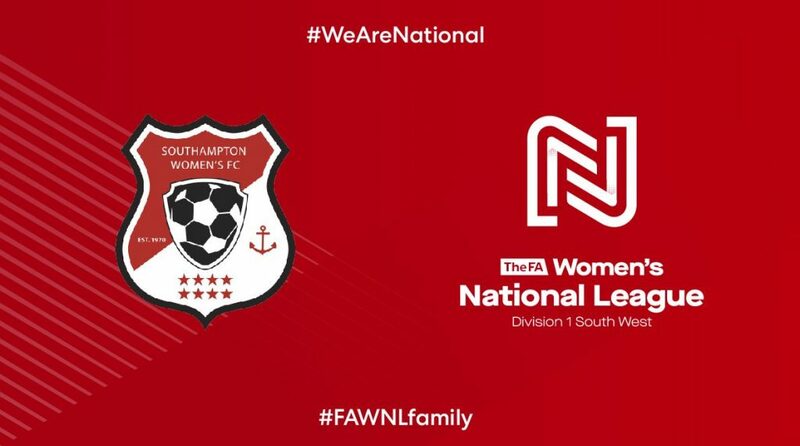 Southampton Women will have their eyes on top spot in the FA Women’s National League Division One South West. 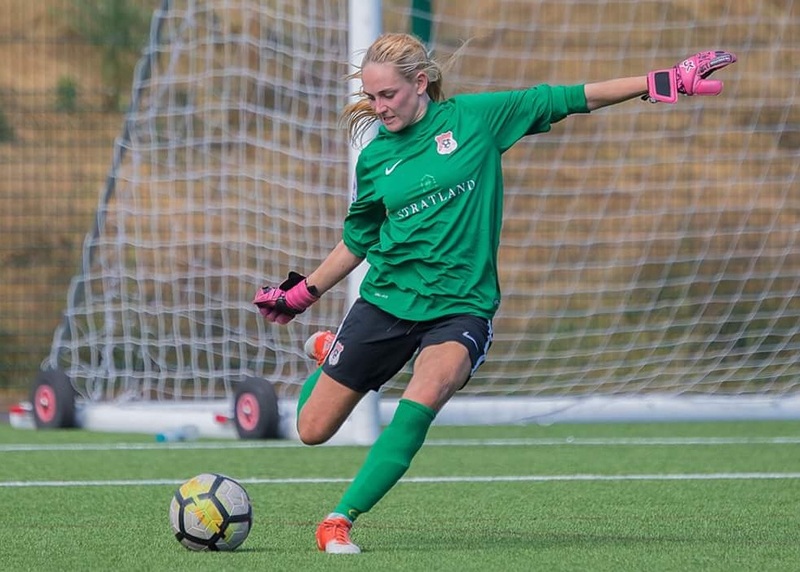 A well-structured and forward-thinking club, but their players still know how to have a laugh…have a giggle with Manu Naprta and Sarah Bradshaw and hear from coaches Simon Parker and Lee Callender. SK: How did the close-season break go for you? MN: It wasn’t easy to stay in shape as the World Cup was on, so I’d like to watch the games and have a drink ? to unwind. I would cycle to the beach and read mostly. Sometimes I would skip rope as exercise because it makes me feel like I’ve done a lot for a short period of time. MN: I was really happy to be back to football, and I felt inspired by the world cup to play very well and I felt lively and creative. My legs didn’t feel like that however, so in general I felt a bit sluggish. It was also very hot that day as we had training at midday. MN: Complain how hot it was. Or talk about tan-lines. MN: I think Tash, Whitton, and Sophie Hall always seem to be able to run a lot. Jane Yeates as well, less as part of the session, more just freestyle running around. MN: Best thing is being able to play football with everyone again. There’s nothing that’s the worst. ? 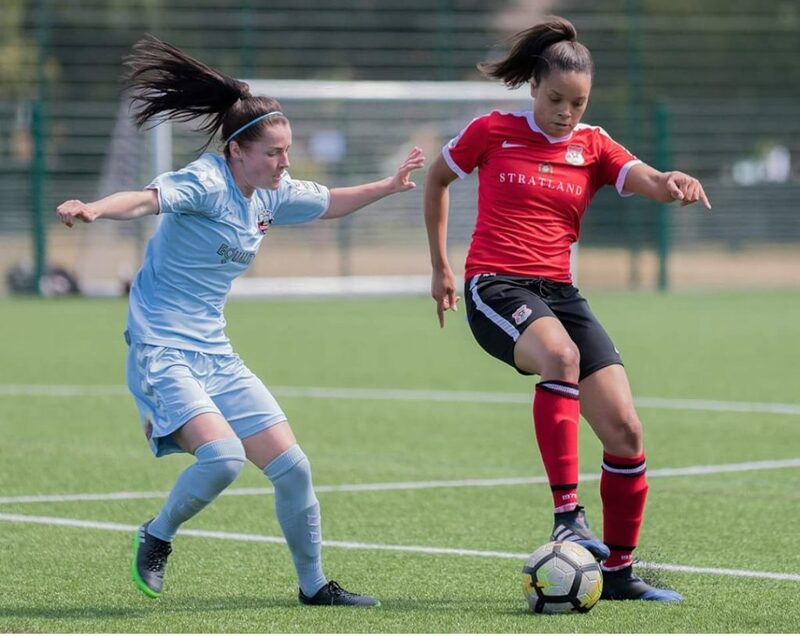 Amie Barnett: chatty, funny and sporting some fancy new wheels for the new season! MN: I think Amie Barnett makes people laugh a lot. MN: Gilly has got the best tan, it’s harder to judge tan-lines. SK: Who will put the most effort into preening and look their best for the pre-season photo shoots? MN: Score more, shoot more. SK: Any facts, hidden talents or funny things you can tell us about one of your team mates that we might not know?MN: Sophie is a master chess player. MN: My Italian friend Mauro, who had never seen girls playing football so well. MN: You can expect beautiful football and heart on the pitch. MN: I’m rubbish with social media. ? SK: What’s been the key/most important task for you and your staff this summer break? SP: Retaining players. After the success of last season many clubs were interested in our players. It is always an uncertain time because any club can talk to any player. I am incredibly happy that we have managed to keep almost all of the squad from last season while also adding quality to all our squads. SK: Aside from readying the squad in terms of match fitness, what is the key message you hope you get across to the team for the upcoming season? SP: The most important message is to take one game at a time. We cannot look further ahead than the next game. It’s easy for complacency to set in, last season we had a great season and finished second, in many of the games we won comfortably. It is easy for players and coaches to believe it will be a given that promotion will happen because of this. That is not the case though, every team in our league has improved and strengthened their squads. 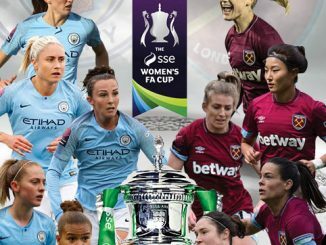 There will be no easy games and I believe any number of teams can win the league. If we wish to gain promotion it will be tougher than last year. SK: What have you or are you enjoying most about pre-season? SP: Working on new ideas and getting to know all of the new players. SP: We have three new teams which is exciting, an U11’s, U12’s and a new senior team. For the club it is fantastic that we are able to develop younger players for the future. We are also moving into a new home at Blackfield & Langley FC which is an amazing ground. SB: Unfortunately I didn’t do as much exercise as I would have liked. SB: Managed to get a few runs in but we moved house so it was manic. SB: Excited to be back but exhausted as it was a baking hot day. SB: Box drills, possession games and proper game at the end, added with a little bit of heat stroke it was a good session (I can really remember, haha ?). SB: Laughter is banned. ? SB: Amie Barnett or Kellie Warren. SB: Sam and Gilly Vokes. SB: Tash Angel or Whitton. SB: Get fit or die trying. SK: What’s been the most important task for you and your staff this summer break? LC: From a reserve point of view it’s been attracting new players who will strengthen the squad, add quality, and retain players from last season. This is alongside incorporating some players from our talented U16’s squad who are now eligible for senior football. SK Aside from readying the squad in terms of match fitness, what is the key message you hope you get across to the team for the upcoming season? 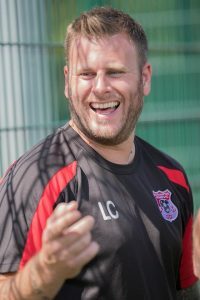 LC: This season the majority of players within the reserve team are new to the club/senior set-up, so the most important thing will be developing a team bond and spirit along with ensuring they understand how we play. The FANWL Reserve league is an unknown for us so we’ll be looking to take each game as it comes and develop the players so they can start pushing for call-ups to the First Team. 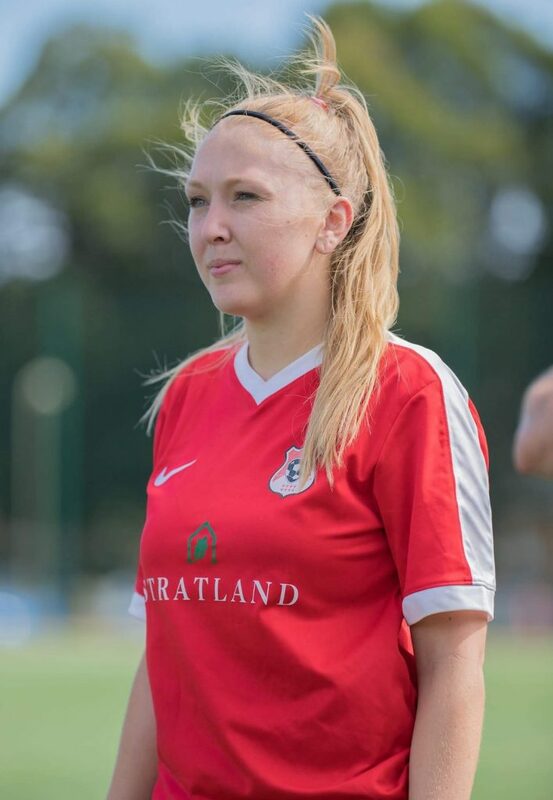 LC: Getting to know the players, putting my own ideas across and developing the players to ensure that we have fantastic depth at the club, also so that we can provide players for the first team in order for the club to gain promotion to the FAWNL South. On a personal note, the build up to my first season as a Manager rather than an Assistant is an exciting time. SK: What is the most exciting thing about the upcoming season for you and the club? LC: A new home in Gang Warily at Blackfield & Langley FC, a new league and new players. The fact that the club has added three new teams at U11’s, U12’s and a new senior development team alongside our current First, Reserves and U16 team means the future of the club and a player pathway is slowly being built. It’s an exciting club to be at.